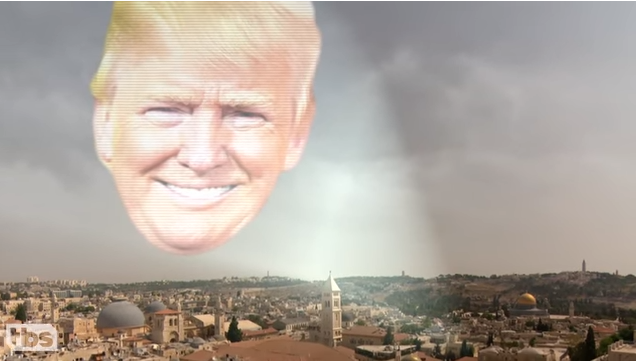 Conan’s visit to Israel produced some amazing videos. In each one, he gets personal with the people he meets. Laughs, but also truths. In this visit, he comes to Jerusalem, Israel’s eternal capital. He gets an overview of the Old City and shares his vision of what he thinks Donald Trump will do (well, not really). Then Conan shopping in the Arab open market, known as a shuk. After a quick lesson in bargaining, Conan attempts to apply his new-found knowledge. Only, it doesn’t really seem to work very well. More laughs and smiles and he’s off. Next scene, he meets an elderly man in the Old City who invites him to his apartment to have a cup of coffee. Conan begins to decline the offer and the man shows that he doesn’t believe Conan will really catch up with him later. And the camera flips to the two of them having coffee in the man’s apartment, speaking of his family (5 children and 19 grandchildren). It’s wonderful! This is yet another one of those wonderful videos worth watching. You’ll sit there and laugh from start to finish. Stay tuned for more of these videos. As Conan traveled all over Israel, he shared with the world so much they rarely see in the media. We’d like to share these videos with you and hope you will share them with others. Not just for the laughs and not even just for the smiles – but for the beauty that others will see in this wonderful land of ours! Is Conan Thinking of Enlisting in the Army?